It’s the most wonderful time of the year – and the time of mulled wine that is, so I simply had to bring you a deliciously warming Vegan Mulled Wine Recipe! For Vegan Mulled Wine however, it probably took me 5 attempts until I finally got into it – and I honestly can’t tell you what was different on that 5th time (maybe I was?). One thing I can tell you for sure, is that I’ve been loving them ever since and they have become an integral part of my annual pre-Christmas routine to get me into the festive mood. Long story short: alcoholic drinks are filtered prior to bottling and there are different procedures to this process, some of which include isinglass (from fish bladder,) gelatine, egg whites, and sea shells, among other things. And then there’s of course the drinks that more obviously include animal derived ingredients, such as the classic Baileys or Honey Met. As Christmas markets can be a little hit and miss when it comes to mulled wine, I love making my own at home – and it’s simpler than you think! 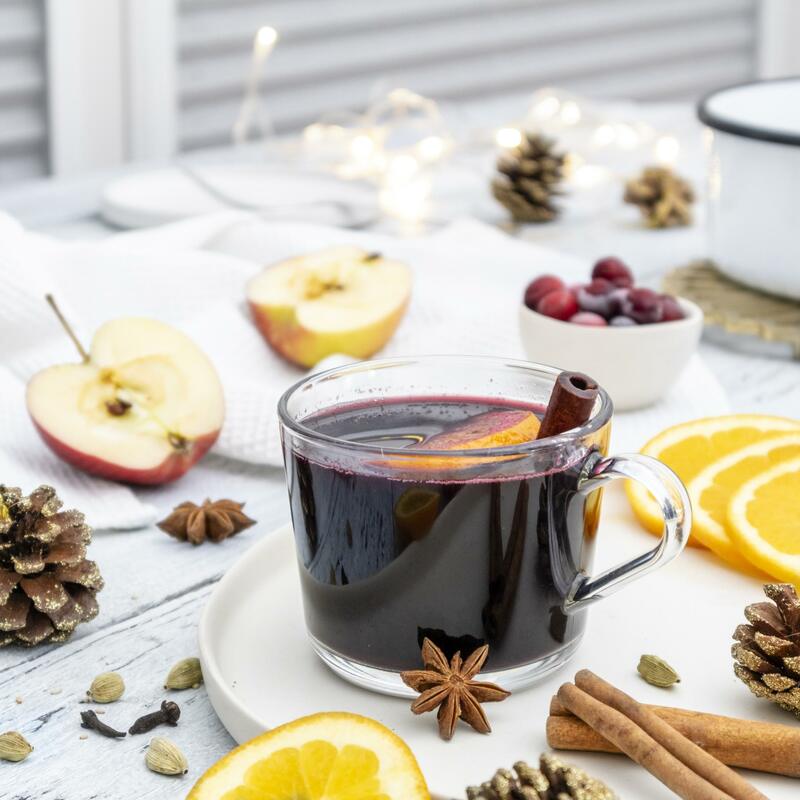 Most ingredients used in this Vegan Mulled Wine Recipe are available at any regular supermarket – including vegan wine! To make mulled wine, there are different options of wine to use – if, like me, you like it to be on the sweeter side, have a look for a sweet & fruity red wine. Thankfully lots of bottles or shelf tags give an indication of the wine flavour nowadays – and there’s always the alternative to add a little cherry juice to the wine to sweeten. On this occasion I used a vegan Shiraz that I found in my local Sainsburys. 1. Add all ingredients to a medium sized saucepan and heat up over medium-low heat. Be careful with the heat, as the wine is not supposed to cook or bubble at all, a slow gentle heating process is ideal. 2. Once the mulled wine mix begins to steam, reduce the heat to a minimum, add a lid to the pan and keep it on the heat for about 20 more minutes. 3. Use a small strainer to pour the vegan mulled wine into mugs. 4. Enjoy with a cosy blanket, a good book and a Christmas-sy candle! Not into alcoholic drinks? Don’t you worry – keep an eye out for my . vegan apple punch recipe – all made from homemade ingredients & super festive & warming for those cold days. Previous Post Cityspice London – The Best Curry in Town!